Online registration closes on Wednesday; riders have just 48 hours left to take advantage of the online registration discount. You will save a significant amount of time on ride day if you register early and it makes it much easier on the officials and volunteers, so please consider registering before Wednesday’s deadline. Our prize list has increased this year, riders will be competing for over $12,000 in cash and prizes. We wanted to clarify the second race discount for anyone who is looking to sign up for more than one race in the criterium or circuit races. 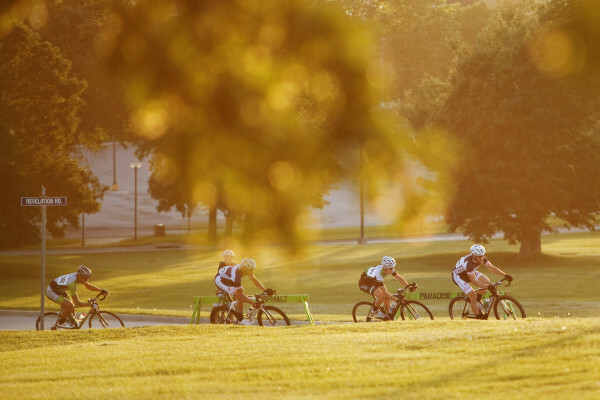 The USACycling registration system has a few major pitfalls and one of them is when you are hosting two different races on the same day (such as the TT and Circuit Race), there is no way for us to set it up to where it will apply the discounted second race in the circuit race without messing up the time trial registration. We asked for this to be fixed last year, it wasn’t. Anyone who wants to register for a second criterium or circuit race, you have two options. For online registration, simply register for your races and drop us a line to let us know you registered for extra races and we will refund the money through the system after their 24 hour hold. Or, you can take care of it onsite and just register for your second race there for $15. Remember, juniors automatically receive their deeply discounted junior race entries when they register. Juniors wishing to register for a category race as well will pay the category price. Riders will be able to pick-up their numbers on Friday at out Tour of KC Launch Party at Brewery Emperial in the Crossroads. Riders can register for the criterium and circuit races at Friday’s event for the onsite registration price. Receive half off your first beer on Friday as well, stop by the registration table to pick up your ticket for your discounted drink. We haven’t made a final decision on if we are going to allow onsite registration for the time trial. If we fill up again like we did last year, there will be no onsite or late registration for the time trial. If we have a few extra spots, as we opened up more tt spots this year, we MIGHT allow onsite registration. This will be a decision made over the next few days between us and the officials. We would not recommend chancing it as several people missed out on the tt last year. The time trial counts towards the omnium and Tour of KC Championship.